Constantine on Saturday said the Indian team may not match the quality of top Asian sides but it has developed into a "very difficult one to beat". 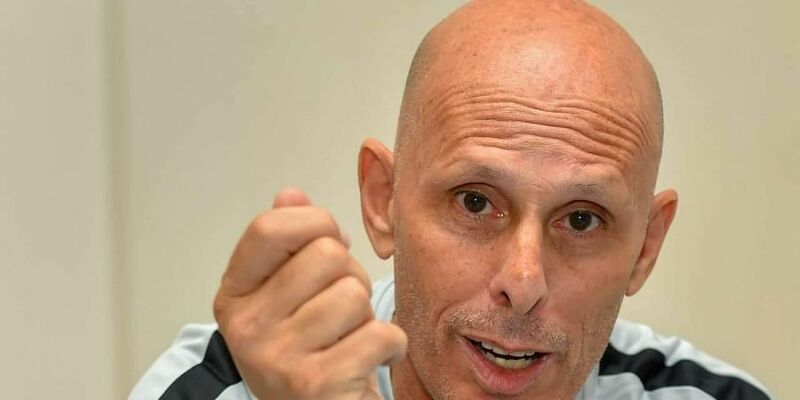 SUZHOU: Proud of his players for playing out a remarkable draw against China, head coach Stephen Constantine on Saturday said the Indian team may not match the quality of top Asian sides but it has developed into a "very difficult one to beat". The Indian team held China to 0-0 draw in a match played between the two countries after a gap of 21 years. "We have shown in the last four years that we are a very difficult team to beat. We may not have the quality which some of the other teams in Asia have. But I stand for my team physically and competitively against any team in Asia. The boys were outstanding today," an elated Constantine said. "It's a very exciting match. Both teams tried to score. Off-course China had more possession and opportunities and we had expected this. We came here to give a good performance and the main thing for us was to get used to the standard of football which we would face in the AFC Asian Cup UAE 2019," he said. He also hailed the younger players in the side for a determined display. "Congratulations to all the players. Five of them who ended the game are U-23 players and two who started were U-23 players as well. That's my policy, to develop young players and give them more opportunities," he said. Constantine had special words of praise for custodian Gurpreet Singh Sandhu, who thwarted many a gola attempts by the home players and skipper Sandesh Jhinghan. "I feel Gurpreet is an outstanding talent. He was three years in Norway and definitely played his role today in keeping a clean sheet for us. Sandesh Jhingan is a fighter. He puts his body on the line and gave everything on the pitch as all the other boys do too. Playing for India is the best possible situation and we appreciate that," the coach quipped. Referring to India's game plan, he informed that the strategy was to keep it "tight". "Our shape was very compact. The distance between the defenders and the mid-fielders was tight. We didn't allow much space to our rivals."